Well maybe not that much, but I’ve really been enjoying the increased presence of the best female character in Gundam 00. A capable captain without any sort of unusual personality flaws or traumatic past (as far as I know), it’s like a hot drink on a cold day. 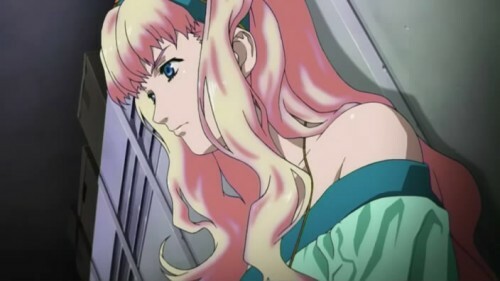 I don’t know why she’s become a more important to Gundam 00, but it’s really great seeing a character I like go from being a fairly minor character to being one that’s prominently featured in practically every episode. Maybe there were some polls and Sunrise found out that Kati Mannequin has an awesome fanbase. Or maybe they wanted to feature her voice actor more. Whatever the reason, I am reaping the benefits. 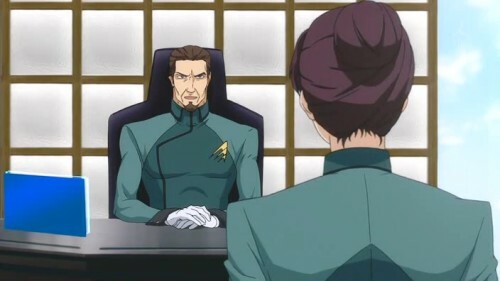 Also, that A-Laws uniform with hairbun does terrible things to me. Are We All Watching the Same Gundam 00? As I look at the praise and criticism Gundam 00 has received, I get the strange impression that everyone is watching a different show despite what the title screen says. 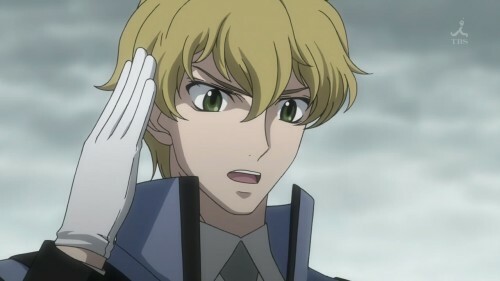 With a show like Code Geass, which has tons of people who love it, tons of people who hate it, and a whole lot of others in the middle who watch it for various reasons, I can look at all the comments and ratings it gets and believe that everyone was watching the same show. I cannot say the same of Gundam 00 and at times it baffles me just how much the contradicting opinions regarding Gundam 00 simply make no sense when you put them all together. I know people’s preference in anime can differ tremendously, but that’s not the problem I’m having here. You can have two people eat the same food and one will like it and the other will hate it. 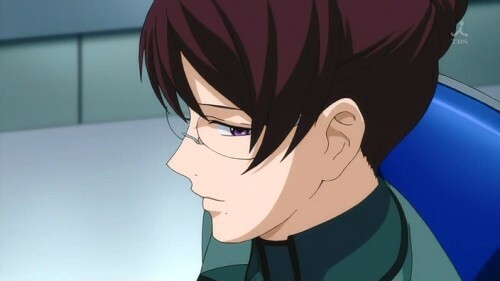 But with Gundam 00, it’s like two get the same food, and then one person claims he ate an octopus while the other person claims he drank a firetruck. What is it about Gundam 00 that causes this seeming dimensional rift in how people see it? Is it the character designs? Is it the bad taste Destiny left in people’s mouths (where everyone can agree they drank firetrucks)? Do people simply have different values for what they expect out of a Gundam series and our various biases warp the image of what’s there into something our brains can process?